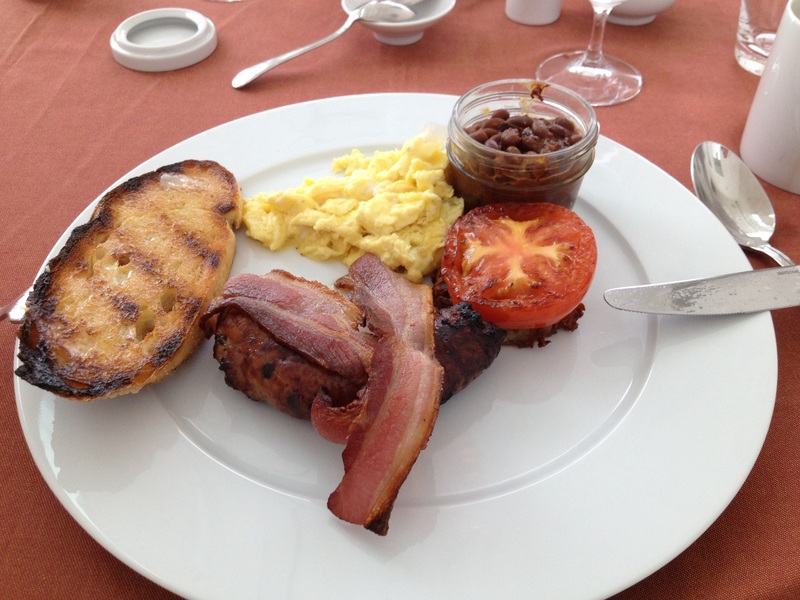 Eating On ‘The Rock’ – "Aye…brilliant"
My favourite part of travelling is trying new things…food wise. There is very little I don’t like when it comes to food (too much garlic, fast food, runny eggs, cooked insects and anything slimy) and very little I won’t try (I have three bite rule like I gave my kids when they were little). In fact, it’s always been a running joke with family that they’d watch to see what I would choose from a new menu – invariably it would be something different than what everyone else was eating. I always look for something local. I relish the thrill of tasting that perfect bit of local fare – Cows Ice Cream in Prince Edward Island, chicken sandwiches at Lick-A-Chick (yes, that is the real name) in Nova Scotia, southern BBQ smoked ribs and corn bread in Tennessee, Orange Grove ice cream in Florida. These are the food memories I cherish and I continually search for more in my travels. 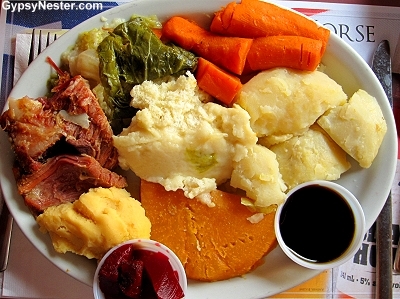 Jiggs dinner – best kind! In August of 2013, I was lucky enough to have stayed two nights at the newly opened and now world renowned Fogo Island Inn in Joe Batts Arm, Newfoundland. 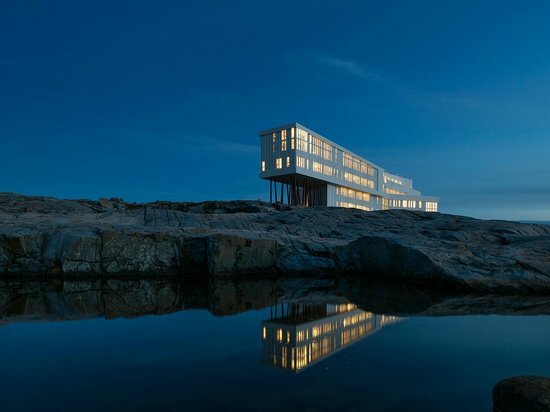 Boldly ensconced on the rocky shores of Fogo Island and only accessible by ferry or helicopter, the architecture outside and inside is magnificent, seizing three of your five senses. But until you eat there, the other two will feel robbed. 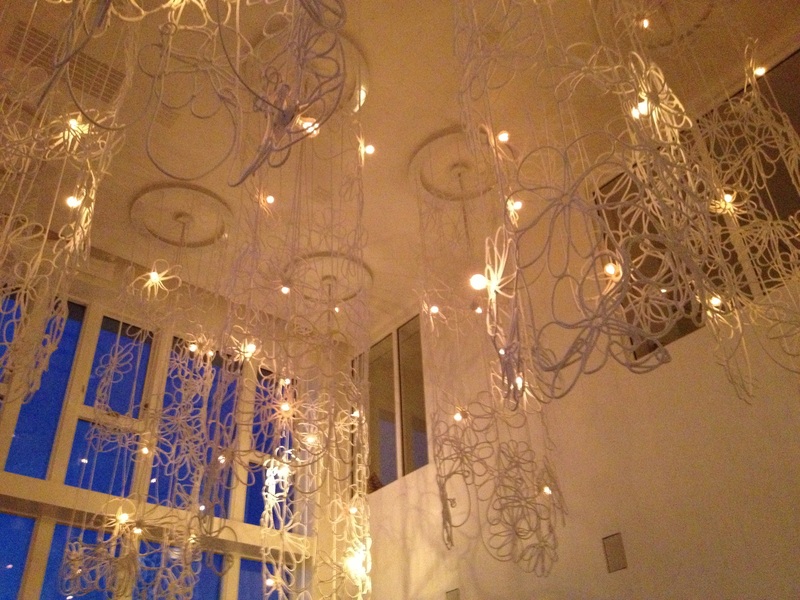 Dining room lighting fashioned from locally made fishing ropes at Fogo Island Inn. Take a seat and watch a sunset outside the inn. Another fabulous inn/restaurant lies in the middle of Gros Morne National Park: Neddies Harbour Inn in Norris Point. The views surrounding the premises are breathtaking, with the mountains and the harbour just outside the back door. The accommodations are wonderful, but the sampling the menu offerings at the Black Spruce Restaurant at the inn is an experience in itself. Again, fresh, local and quality are key to fabulous taste. Each day the chef grabs a large kitchen bowl, wanders around the vegetable/herb garden adjacent to the inn; what’s ready for harvest determines the daily menu. 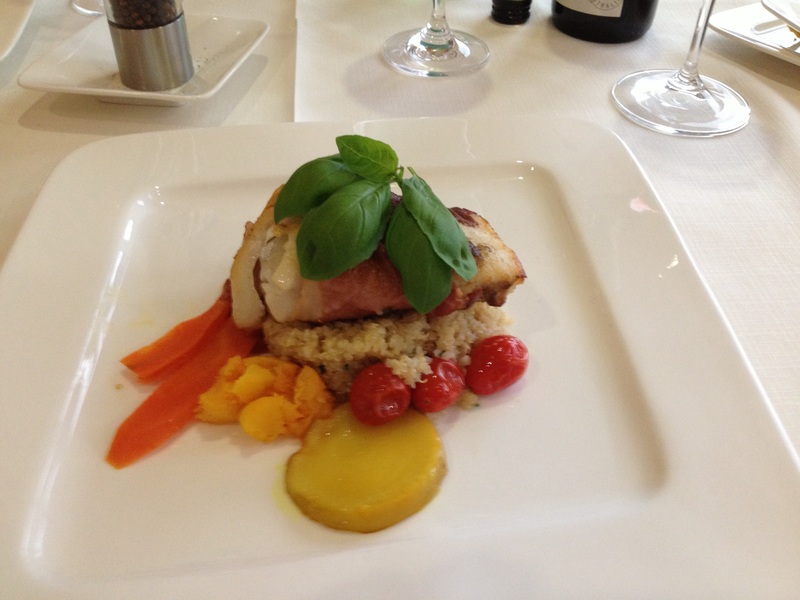 And it helps that the food presentation is utterly beautiful too! While exploring Norris Point, we happened upon a funky little bistro called Justin Thyme Bean and Bistro. Justin, the owner and chief chef, is a whiz with a whisk… and seafood and veggies and anything else he fancies to cook. The Justincredible Mussels are not to be missed – hands down some of the best I’ve ever tasted. The chalkboard menu reads like a gastronomical sonnet – reading Shakespeare has never made my mouth water. The bistro also serves fabulous coffee – a perfect ending to your meal or your morning kick start with a muffin fresh out of the oven. Don’t forget your camera (as I did). I can’t post pictures of this wonderfully quirky little spot, nor can I flash photos of my speaking with Lawrence Hill and Miranda Hill -both critically acclaimed Canadian authors, Woody Point summer residents and two of the most gracious people I have ever met. 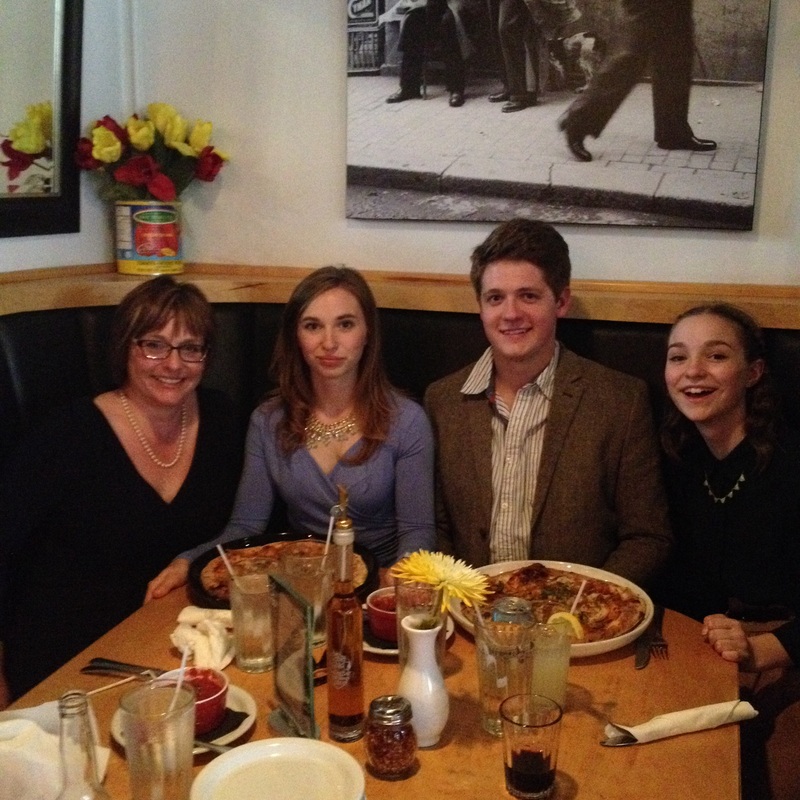 Living in St. John’s, there is no shortage of fabulous places to eat, despite it’s being a fairly small city. Weekends would find us at Yellowbelly Brewery (Friday night is Mick Davis night), The Gypsy Tea Room, The Duke of Duckworth or Blue on Water enjoying fabulous chowder, steamed mussels, thin beer crust pizza, spicy Cajun chicken pasta, fish and chips or rack of lamb. 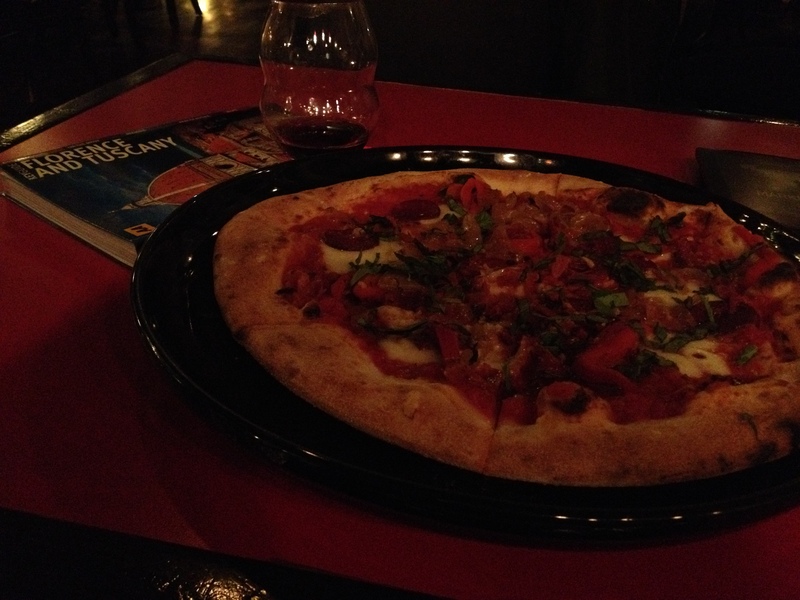 But at least once a week we eat at Piatto Pizzeria & Enoteca on Duckworth Street. As regulars, we are greeted warmly and they always squeeze us in, no matter how busy it is. Melissa, one of the servers, is very helpful in introducing us to new wines and fabulous menu additions – they have a pizza of the week designed by customers themselves. Pizza rosso, pizza bianco, bruschetta, calzone, insalata, zuppa and the all important dolce – the menu has something for everyone. All ingredients are of the highest quality. In my opinion, any stool at the back bar watching the pizza makers at work is the best seat in the house. Everything is cooked in the authentic wood fired oven and it is poetry in motion watching each pizza crafted from start to finish. 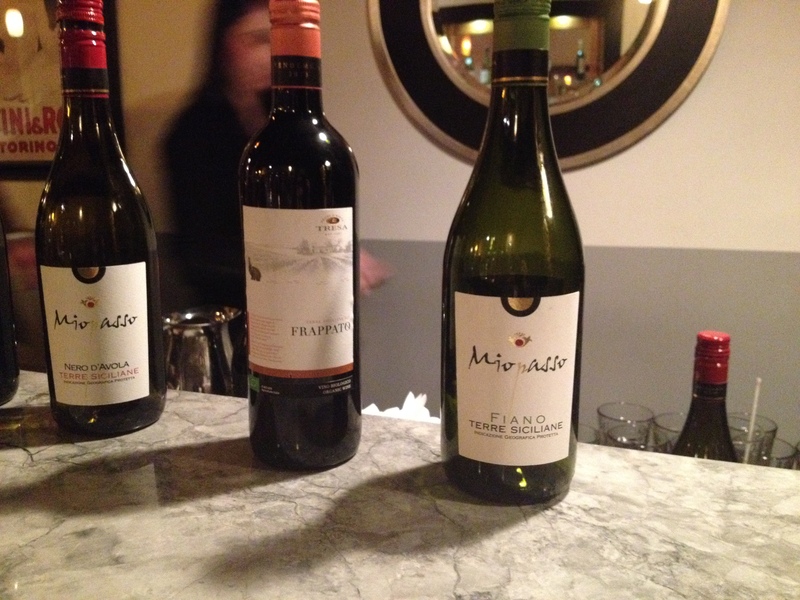 Piatto also offers bi-weekly wine tastings, with special guests and new wines artfully paired with perfect choices from their menu. Call early – reservations fill up quicker than it takes to cook a pizza! Piatto is our favorite place to meet up with my kids. 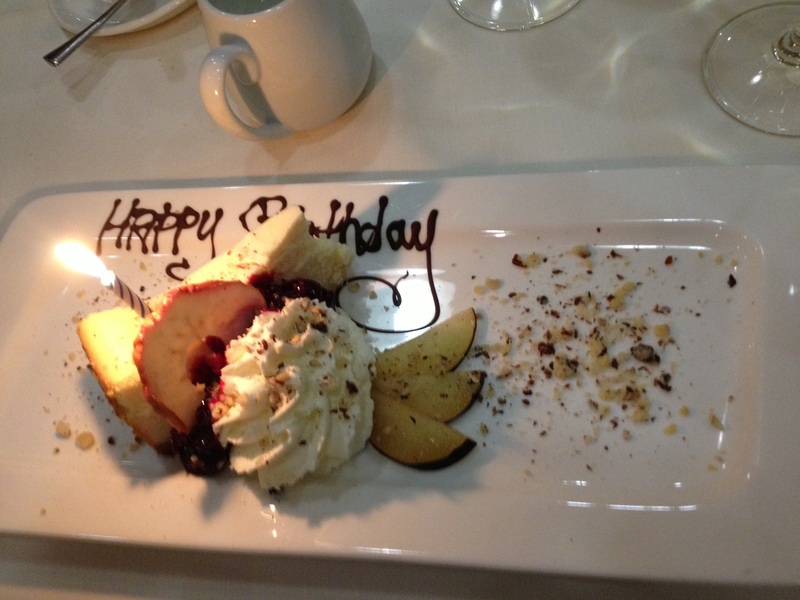 Tasty food, great atmosphere and not too hard on the wallet. But don’t just take my word for it – according to people who know what real Italian pizza is, Piatto is as close as authentic as it gets east of Montreal. In fact, when the owner, Brian Vallis, found out we were going to be living in Italy for a few months, he told me that the very first Piatto restaurant is located here in Naples (it’s where he learned to make authentic Neopolitan pizza) and promptly gave me directions to get there. I guess I’ll have to get right on that! 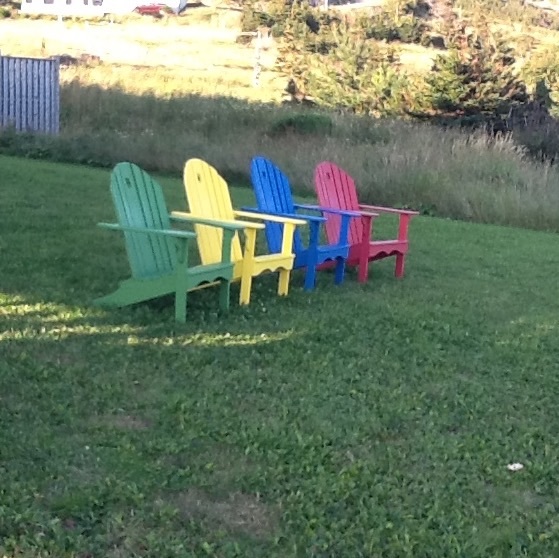 Posted on August 25, 2015 August 26, 2015 by jacquieharnettPosted in Food and drink, Life stories, Newfoundland, ReadingTagged Fogo Island Inn, Happiness, Lawrence Hill, Miranda Hill, Newfoundland, Pizza, Reading, St. John's, Travel. Previous Previous post: Fiats and Vespas and Goats – Oh My! A great food review from some great restaurants in my hometown. A great post, that I simply had to share! Thank you for your kind words and for sharing! Needless to say – I miss the food from home a little.